These were six amazing stories by six equally wonderful writers. You have your dragons, bear shifter, vampire, demons and shadow guard and if that wasn’t enough, you have a wonderful fairy tale baker. The heroes are drop-dead gorgeous, and their women are all strong and sassy. Each story has you’re a special goodie that they bake and for me, being a pastry chef I could not help myself but bake each and everyone. I wish I could give each story five stars for a total of 30!!!! 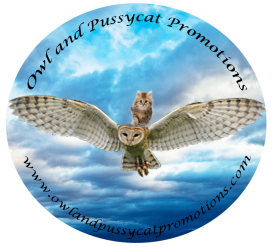 Previous PostPrevious Only three months left to try out Owl and Pussycat Book Promotions at our special price!